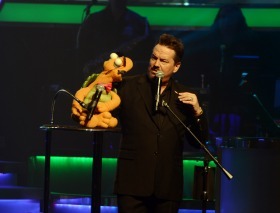 Terry Fator throws a party with as much panache as his throws his voice for his puppets. Fator’s fifth anniversary show Friday, March 9, at the Mirage Las Vegas and the VIP/media party that followed were flawlessly executed. But what is there NOT to like about an entertainer who can impersonate the likes of Adele, Etta James, Elvis, Aaron Neville, Nat King Cole, James Brown and Cher in song without so much as moving his lips? Who can bring tears to the eyes of the audience with the rendition of a tribute song “Horses in Heaven” that he penned for a victim of childhood cancer? 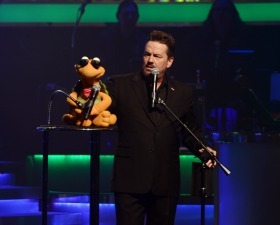 Or who proudly lauds in the name of God and country our military troops in song (and in the audience) and who also donates most of the proceeds from his DVD, CD and merchandise sales to St. Jude’s Children’s Hospital and to wounded veterans and their families? Fator has come a long way from his winning performance on NBC’s America’s Got Talent in 2007. Today he has his own theater at the Mirage and a fine-tuned show that covers everything from a texting tween, a politically incorrect candidate for the presidency, a stoner dude looking for a sponsor for his latest herbal products and a has been overly-enhanced Hollywood cougar. 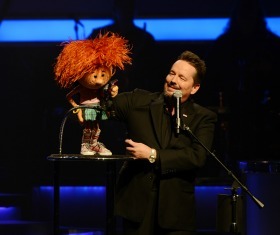 Fator brings a variety of puppets to life and the audience to peals of laughter with cleverly scripted monologues. He directs his foam-formed family through a musical repertoire that includes but is not limited to country, soul, R&B, and pop classics. A gifted mimic since childhood, Fator has waited a long time for his caravan of characters to reach the station. 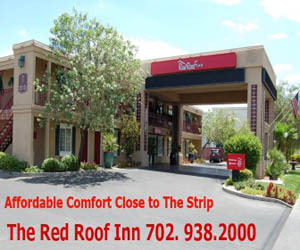 He spent years singing with a variety of bands and working in the family janitorial business. Oddly enough (or perhaps not so oddly) he had reached his lowest point, playing to an audience of one at a fair in Texas, when a few months later he auditioned for and landed a spot on AGT. Fator recently extended his original nightly 2008 five-year $100 million contract with the Mirage into 2016 for an additional $60 million: Not a bad leap from a lonely, dusty fairground. While Fator’s 16-year marriage didn’t survive the mega-transition, his puppets remain loyal to their “impersonator”. Out of a cast of about a dozen, Winston the Impersonating Turtle opens the show with attitude; Emma Taylor adds texting to her repertoire, and Vikki the Cougar keeps the innuendo just enough above the younger heads in the audience to ensure the entire family will have a good time.